The past week, I was with my family in a campsite, away from all electronic media. When I returned to civilization, I learned of two more black men needlessly killed by police officers and, at a Black Live Matter rally in Dallas, five police officers were shot and killed by a black sniper. I am heartbroken and saddened by both the continued brutality and escalation in violence. I mourn the loss of all these lives and I grieve for their families. The heinous intentionality of the police killings hits at a visceral level just as the killing of unarmed individuals. If you feel helpless, I encourage you to gather with others who share similar commitments. If you are in Chicago, I encourage you to participate tomorrow in the interfaith and interracial Prayer for Peace. It is hosted by one of the great churches on the westside of Chicago that is a leader in the African American community. 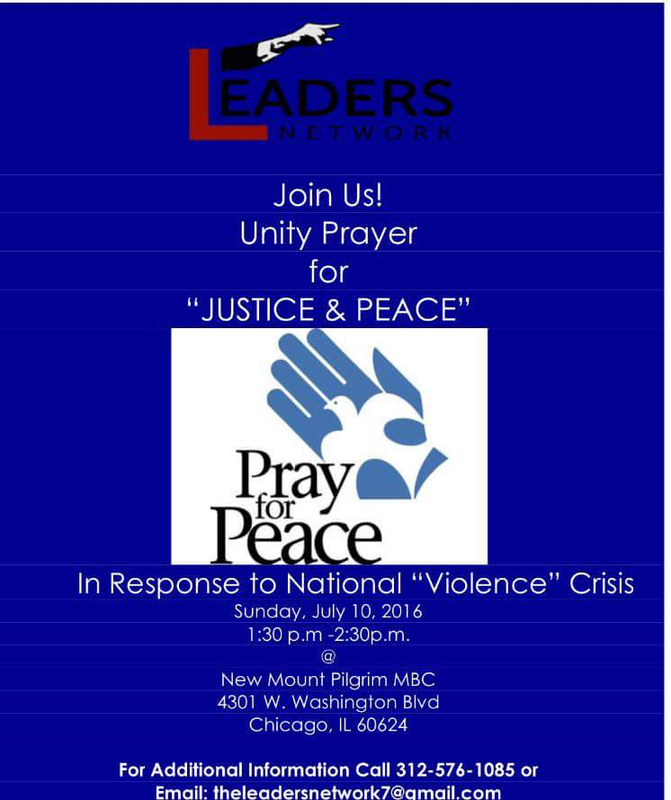 It is the same church that hosted the Call to Unity thirteen months ago following the Charleston massacre. Now is a time to engage with others, opening to relationship cross religions and cross races. This is what is needed if our nation is to heal.